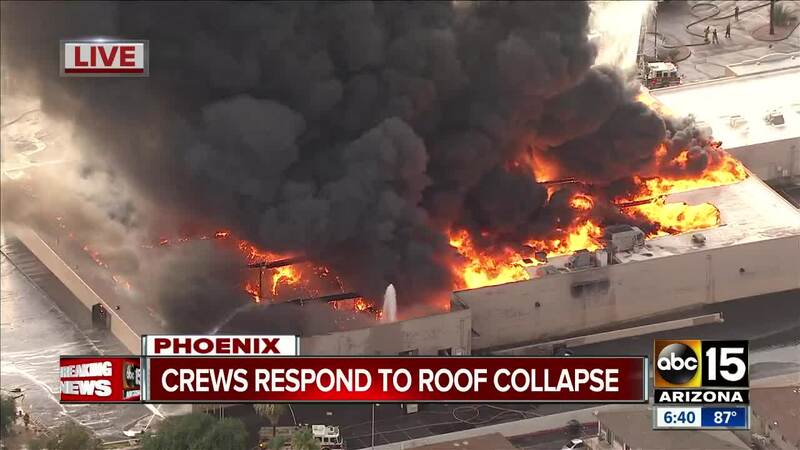 Crews are working to extinguish a massive fire that broke out Wednesday afternoon at a Phoenix Safeway store and caused the roof to collapse. Multiple fire crews are at the scene near 35th and Northern avenues. Fire officials tell ABC15 no one was inside the store at the time of the blaze. It is not yet known if any injuries have been reported. Video from Air15 showed huge flames and thick smoke spreading across the roof of the grocery store. Footage from ADOT showed the plume of smoke visible from several miles away. 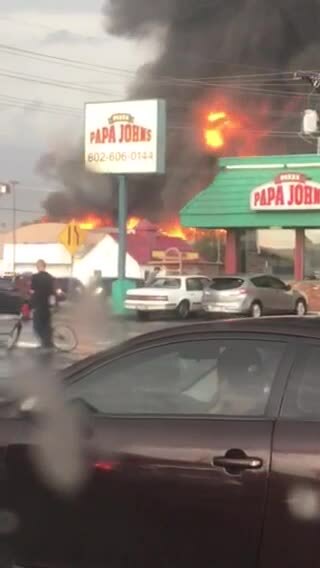 Phoenix police say traffic restrictions have been put in place as crews work to get the blaze under control.